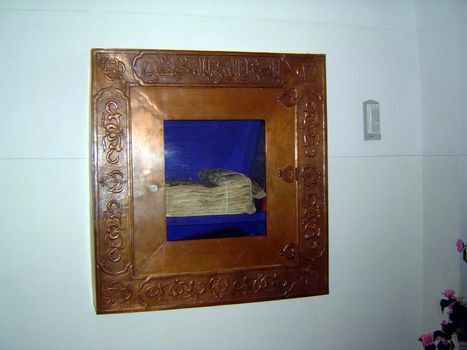 But in an air-conditioned side room is the Osman Qur'an, which is said to be the world's oldest. Tamerlane stole it--is that too strong a word?--and installed it in his great mosque, the Bibi Khanum, in Samarkand. The Russian general who captured Samarkand--Kaufmann by name--sent it to St. Petersburg. The Soviets in 1989 sent it here.